...the Final Frontier. The many resource rich planets within the limits of Federation territory await exploration and settlement. Build outposts and star bases to extract the resources. Using your fleet of starships, establish supply routes that enable you to boldly go further into deep space. Avoid resource shortages by trading with your opponents and Federation neighbors. If your opponents venture too far into your space, though, you might need to divert the Klingons to drive them away... because in the end, only one can be the Federation’s greatest hero! Take up the challenge! 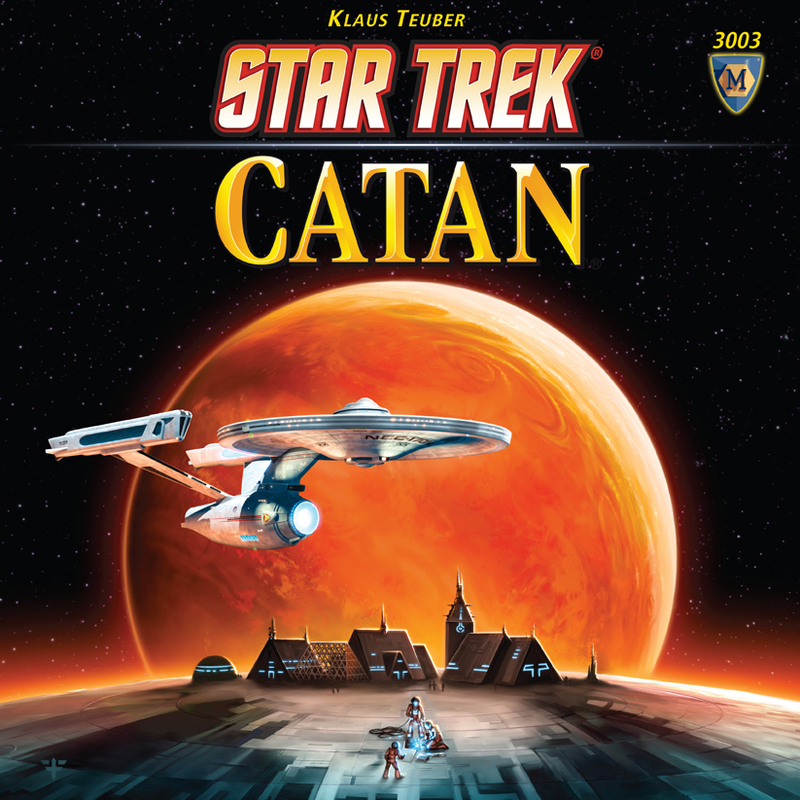 STAR TREK CATAN® transports the timeless game concept of the world’s most acclaimed board game—THE SETTLERS OF CATAN—into the exciting Star Trek universe. The popular characters of the Starship Enterprise come into play through novel new “support cards.” Build, trade and settle where no one has gone before! Since 1966, millions of Star Trek® fans all over the world have watched the adventures of the Starship Enterprise, Captain Kirk, and Mr. Spock. 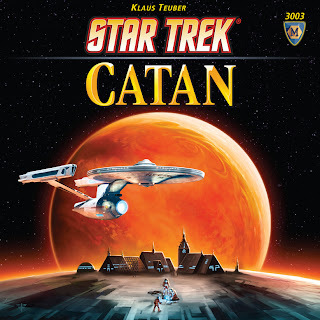 And since 1995, millions of enthusiastic players all over the world have played Klaus Teuber’s The Settlers of Catan®—a board game classic. It’s time to bring them all together on the Final Frontier! Thanks to reddit user avryco for pointing me towards the announcement.